At an event in California , March 28, DJI announced the launch of two new products—a thermal-imaging sensor for its drones called the Dji Zenmuse XT2, and a new development kit that’s meant to make it easier for drone owners to slap their own custom sensors, parts, and payloads onto their drones. In short, it’s a way to turn the commercial drones that DJI sells into open platforms for their customers to do with them as they please. “The arrival of the DJI Zenmuse XT2 with a FLIR sensor signifies an important technological advancement for drone operators who need both a visible camera and the superpower benefits of thermal imaging in one product,” said FLIR President and CEO James Cannon in a press release. The Zenmuse XT2 thermal imaging camera, developed as part of an ongoing partnership with FLIR Systems, builds upon the original Zenmuse XT which was released in 2015. Dji Zenmuse XT2 is a dual vision camera that combines thermal and visual sensors. The visual camera offers 4K video and 12mp stills from its 1/1.7″ CMOS sensor. 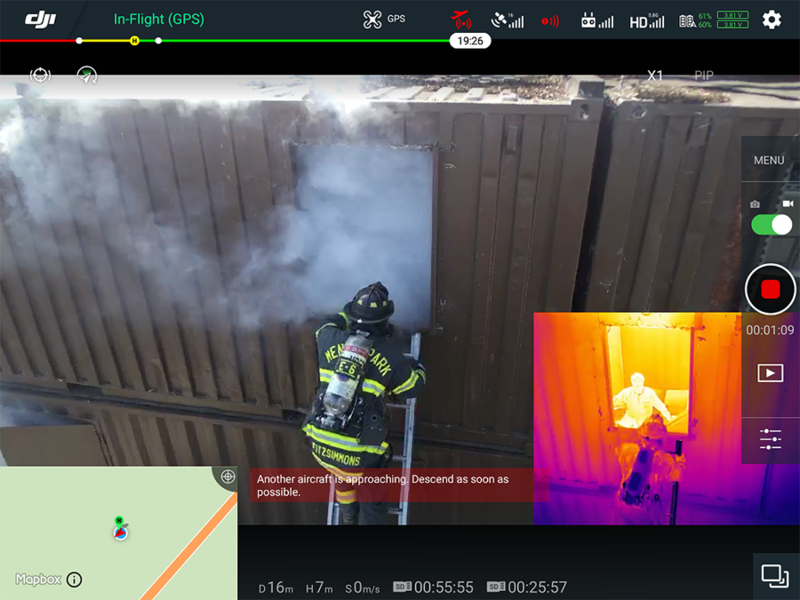 With the second thermal camera, both can record and stream at the same time, allowing teams on the ground to compare a live feed with a thermal one in real time. The new kit allows owners of the Chinese manufacturer’s Matrice 200 series of drones to strap basically anything to the drone with an adapter it’s calling the “Skyport.” The adapter gives access to the drone’s gimbal, power supply, and DJI’s APIs, meaning any sensor or device that can be hooked up to it can do so without the need for any additional cables or batteries, effectively acting like a part of the drone itself. Companies that use their own sensors—perhaps, a Geiger counter, a spectrometer, or anything in between—can now survey things from the air with relative ease, assuming they can build a hookup that will work with the Skyport. The adapter also gives the sensors access to the Matrice’s built-in data communications systems, meaning drones could automatically send sensor data back to a company’s management system, without the drone needing to land and have its data offloaded manually. Drone pilots can use various onboard intelligent features to help them in their work. FLIR MSX technology combines thermal and visual data into one image, making it easier for the operators to sport the subject of interest. DJI offers Spotlight Pro to let the camera automatically track an object in two different intelligent flight modes: QuickTrack, which centers the camera on a selected area and HeatTrack that automatically tracks the object with the highest temperature. A third option warns the drone operator when a certain object exceeds a temperature threshold. This is called Temp Alarm. 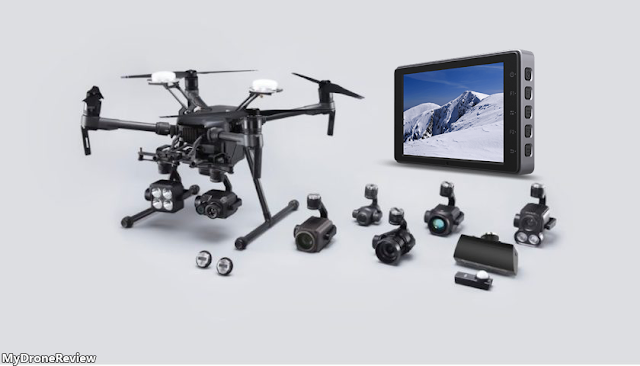 From the DJI press release: The Zenmuse XT2 is compatible with DJI’s Matrice 200 Series and Matrice 600 Pro enterprise drones. It will be first available for the DJI Pilot mobile app for Android and later in April for the DJI XT Pro mobile app for iOS devices. Its rugged design and IP44 ingress protection rating gives it the versatility to be flown in a wide variety of conditions including rain, snow, smoke, and fog. With a 12-megapixel visual camera, it is available in two thermal sensor resolutions of 640 x 512 or 336 x 256, with 9mm, 13mm, 19mm, and 25mm lenses. 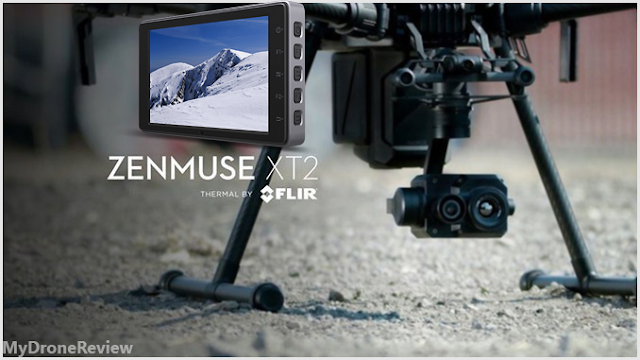 For more information on the Zenmuse XT2, please visit: →Dji Zenmuse XT2←. For more information, please visit www.flir.com and follow @flir. The Zenmuse XT2 camera is available today for purchase through authorized DJI Enterprise dealers worldwide -- so it seems DJI is wasting no time placing itself at the center of this expanding field. Give us your opinion below about Dji Zenmuse XT2 & Share if you like it!